Jarrod Schmidt produced his best outing of the season as Clemson defeated Georgia Tech 5-1 Saturday night in front of 3,113 fans at Doug Kingsmore Stadium. The right hander allowed five hits and one run while striking out four over nine innings. Schmidt’s performance follows Steve Reba’s complete game shutout of the Yellow Jackets on Friday. 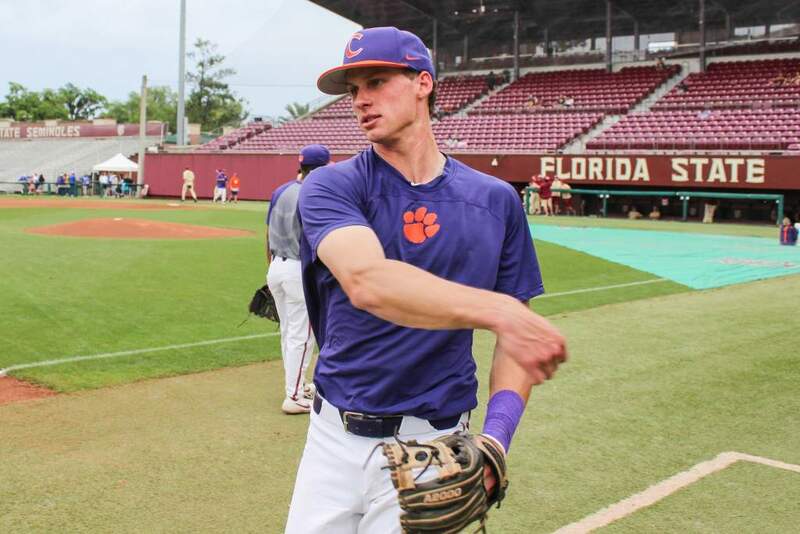 The feat of back-to-back complete games was last accomplished in the NCAA Atlantic Regional at Clemson in 1996. 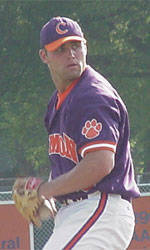 Billy Koch pitched in a 5-1 victory over Old Dominion on May 24 and Ken Vining defeated West Virginia 6-3 a day later. Both starting pitchers were dominant early. Schmidt set down the first five batters in order while Tech starter Rhett Parrott retired nine batters in a row after a first inning single. 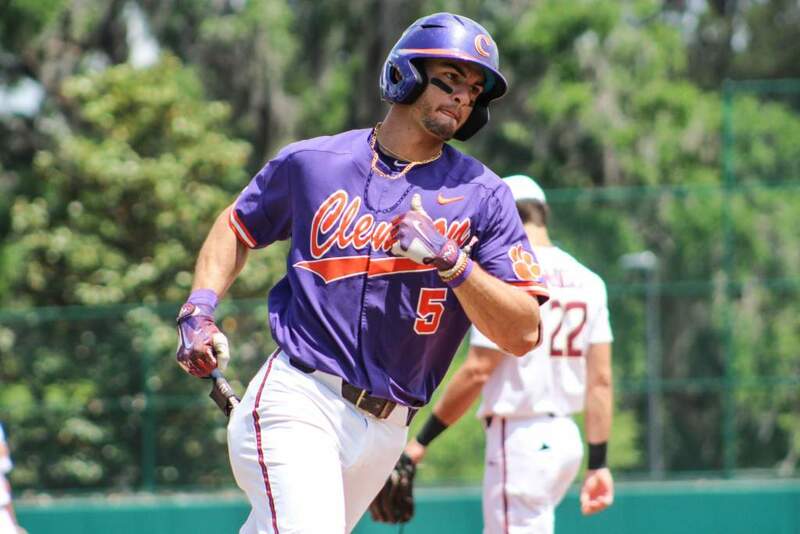 The Clemson offense finally broke through with a two-out rally in the fifth inning. Ryan Riley hit a high fly ball that turned into a triple when Georgia Tech right fielder Jason Basil lost sight of the ball. Russell Triplett followed with a double to center field that gave Clemson a 1-0 lead. 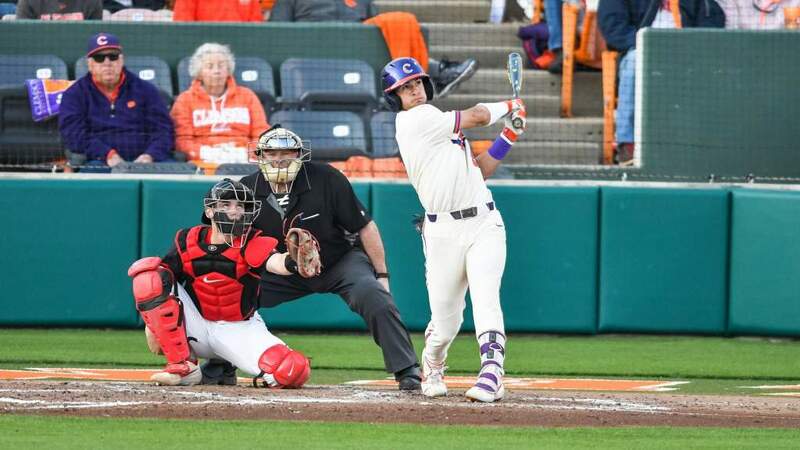 The seventh inning saw Clemson pull ahead thanks to its play on defense and offense. Right fielder Kyle Frank made a diving catch that robbed Victor Menocal of at least a double in the top of the inning. In the bottom of the inning, singles by Chad Coder and Triplett put runners at the corners with one out. Catcher Steve Pyzik executed a squeeze bunt to perfection that allowed Coder to score. Tech then sent in left handed reliever Aaron Walker, but Casey Stone singled to load the bases and Frank followed with an RBI single. 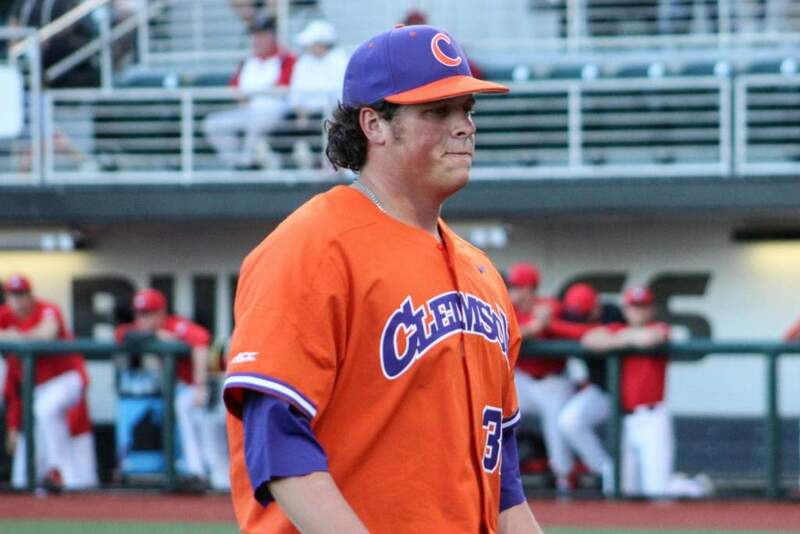 Clemson pushed the lead to 4-0 when Tech reliever Jeff Watchko walked Khalil Greene with the bases loaded. Schmidt (5-3) helped his own cause in the eighth inning with a blast over the left field fence for a 5-0 lead. His 13th home run now ties him for the team lead with Jeff Baker. Georgia Tech broke up Schmidt’s shutout bid and finally got on the board in the ninth inning when Bryan Prince homered. Triplett led the Tiger offense with three hits, one RBI and a run scored. Clemson improved to 28-14 and 10-4 in the ACC. Parrott (7-3) got the loss for Georgia Tech, who falls to 30-12 and 9-8 in the conference. The teams will conclude the series Sunday at 2:00 PM. The game can be heard on the Clemson Tiger Network.